Katharine N. Bernstein is an experienced Elder Law and Estate Planning attorney. She received her Bachelor’s Degree from Wells College and her law degree from Seattle University. Her practice focuses on Elder Law in the context of utilizing Estate Planning, Veterans Benefits and Medicaid Planning to assist clients in preparing for and affording the cost of care in assisted living communities and nursing homes. Katharine is licensed to practice law in Washington State and New York State and is a Veterans Administration Accredited Attorney. 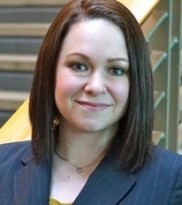 She is a member of the Washington State Bar Association Elder Law Section, National Academy of Elder Law Attorneys, Elder Counsel, and she currently serves as Communications Chair for the board for the King County Chapter of the Washington Women Lawyers.